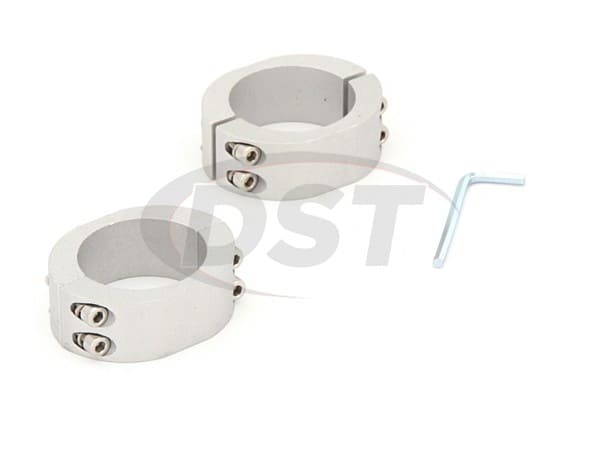 With several sizes available, these lateral locks are designed to fit any stock factory or aftermarket sway bar. This is a do-it-yourself product that is very simple to install. The lateral locks come in two half pieces that wrap of the sway bar, and are locked in place with the provided bolts and wrench. 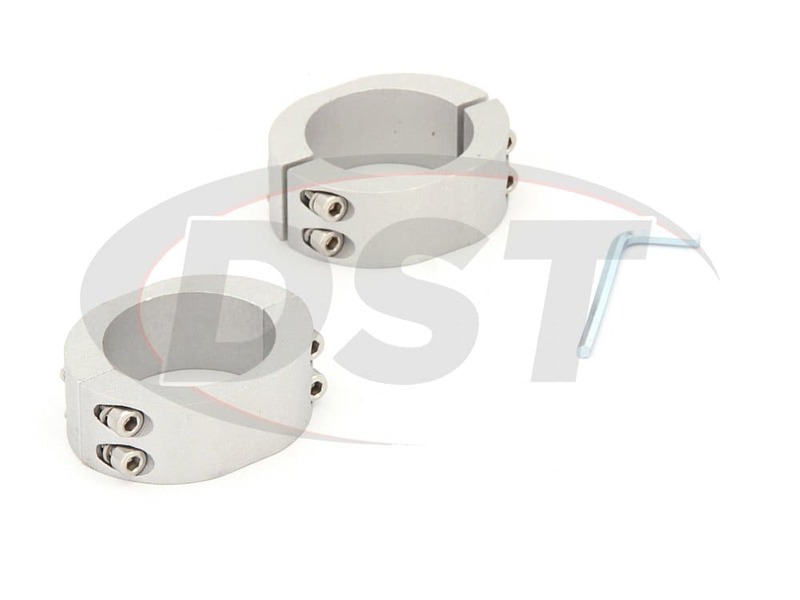 DST's lateral locks will install right next to the existing sway bar bushing mount, so you will want to measure as close to this spot as possible.